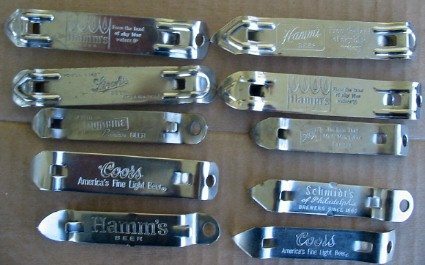 Lot of 10 different Style I openers. Includes 4 Hamms, 2 Coors, 1 Sunshine, 1 Schmidts, 1 Strohs, 1 Schlitz. Common style openers, but a very clean lot. Most appear unused. Want any details, just ask.